Failure is a universal experience that we each deal with many times throughout our lives. If you ever listen to famous celebrities, successful entrepreneurs, or professional athletes, many will say that overcoming adversity and failure is the key to success. 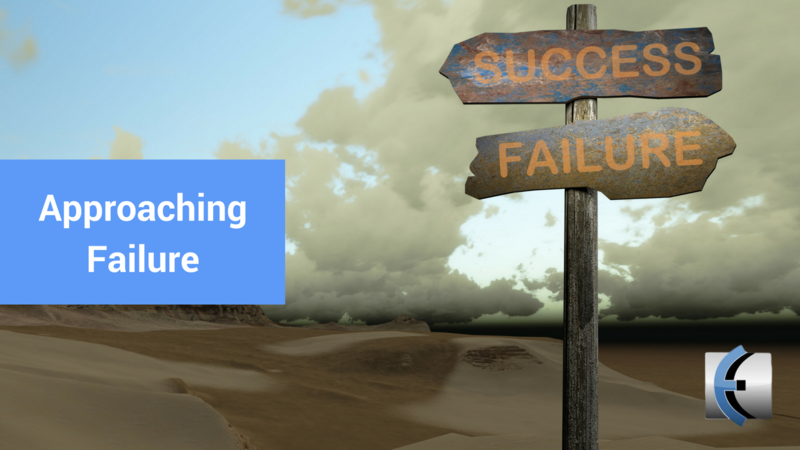 From self-help books and podcasts, to post-game interviews, the relationship between failure and success has in many ways become clichéd. Yet, many of us never truly analyze our attitudes and response to failure, and thus, never learn, adapt, or grow professionally or personally. I recently had the pleasure of reading Black Box Thinking: Why Some People Never Learn from their Mistakes- But Some Do by Matthew Syed. The author provides an in-depth discussion on how different individuals and industries approach failure. He also describes the powerful influences including psychological, societal, and emotional that impede our ability to learn from mistakes and failures. I was able to read this book through the lens of a young physical therapist eager to learn and grow, but who also struggles with his own self-doubts and anxieties. From this unique perspective, I’ve attempted to relate the information from Syed’s book to physical therapists and the profession of physical therapy as a whole. Syed explains two main viewpoints when it comes to dealing with failure. The first style he calls “black box thinking.” With this style, mistakes lead to progress. Individuals or groups use failures as learning experiences. In these circumstances, it is safe to fail because failure allows critical analysis and feedback to update models, strategies, and behaviors. Syed explains how this style of openness and analysis of mistakes is exemplified by the aviation industry. Just one of the key aspects of the aviation industry is the review of black boxes after crashes to analyze what transpired in the cockpit before and during the crash. The second approach to failure that Syed explains is one where error is stigmatized. In these environments, individuals are not open about their errors and conceal failures. Individuals look for something or someone to blame: a scapegoat. In these circumstances, when mistakes occur, there is no learning or progress and the same errors and failures happen repeatedly. Syed provides various reasons why the healthcare industry exemplifies this second approach to failure. There are also aspects of clinical-internships and professional practice as a physical therapist that impede our ability to learn from failure. During clinical-internships, you’re thinking don’t make a mistake or it might show up in your CI’s evaluations, or even worse you may fail the clinical. When practicing as a licensed professional, don’t make a mistake or the patient won’t trust your competence, or the physician won’t send you referrals, or your clinical director won’t trust you with more complex patients. These thoughts and ones like them lead to the stigmatization of mistakes and errors. This leads to therapists not being open about their mistakes, while failures don’t lead to learning or progress. For the field of physical therapy as a whole, the answer is evidence-based practice, especially the use of randomized controlled trials. This is the most effective way for us to test theories and practice beliefs and strategies in a relatively safe and controlled manner. Examination and treatment techniques must be held up to the scrutiny of objective research to determine what is best for improving patient outcomes. We should not base our treatments on the new craze or the old cornerstones of treatment. We should base our treatments on theories and techniques that have been through the rigors of research studies and have been analyzed and adapted based on their shortcomings and failures. I fully understand that all these things sound great while I write them, but accomplishing these goals is much easier said than done. I know there are many great individuals promoting the growth of individual students and clinicians through critical analysis of failures, and I know there are many great individuals promoting the growth of research and evidence-based practice in the field of physical therapy. In both respects, there is still much work to do. There are so many influences to consider when discussing this topic, and the field of physical therapy is too complex to wrap into a nice neat blog post. Everyday, on my way to work, I drive by a school and there is a sign in front of the school that reads, “Strive for progress, not perfection.” We’ll never be perfect as physical therapists or individuals, and that is okay. In fact, that is a good thing. That means we can be open about or mistakes and shortcomings, and instead of fearing failure, we can use failures to learn, grow, and progress as professionals. So, we should strive for progress. We should strive for progress as we learn through the feedback from our mistakes and failures, but we should also strive for progress in our approach and mindset to failure, too.